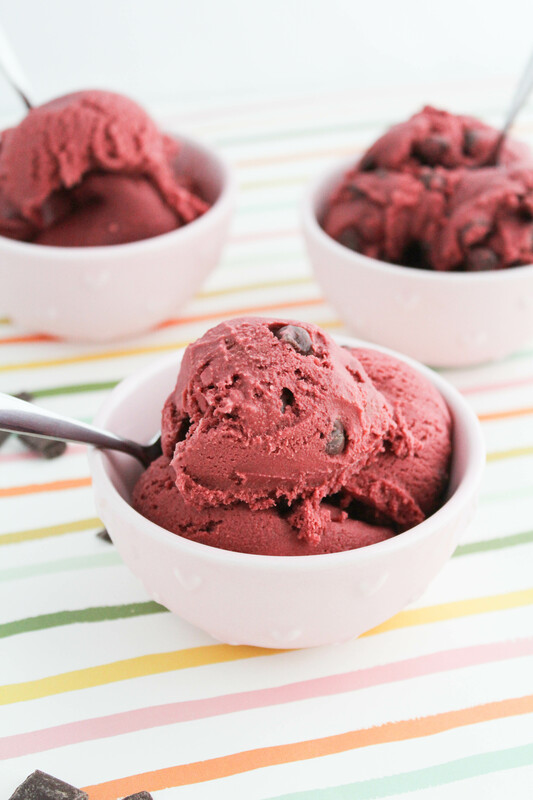 A delicious and easy to make red velvet ice cream filled with yummy chocolate chunks! With Valentine’s day right around the corner, I figured I’d share a love of my own with you guys…Red Velvet. For those of you that might not know, red velvet is actually just chocolate flavors dyed with red food coloring. It can also be dyed using fresh beets, but if I have any excuse to use chocolate, you can bet that I’m going to go the chocolate route! And I can’t just have a little bit of chocolate either…I’m adding as much as possible! 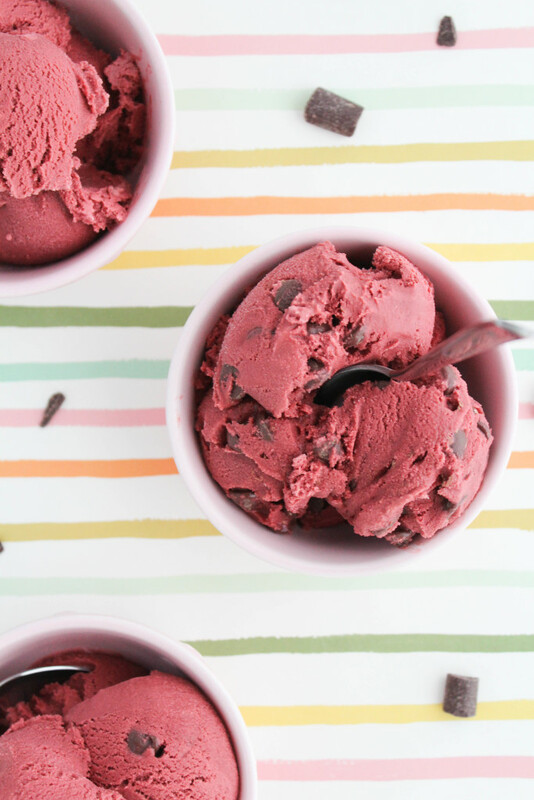 For this month’s ice cream recipe, I’m making red velvet ice cream with chocolate chunks!